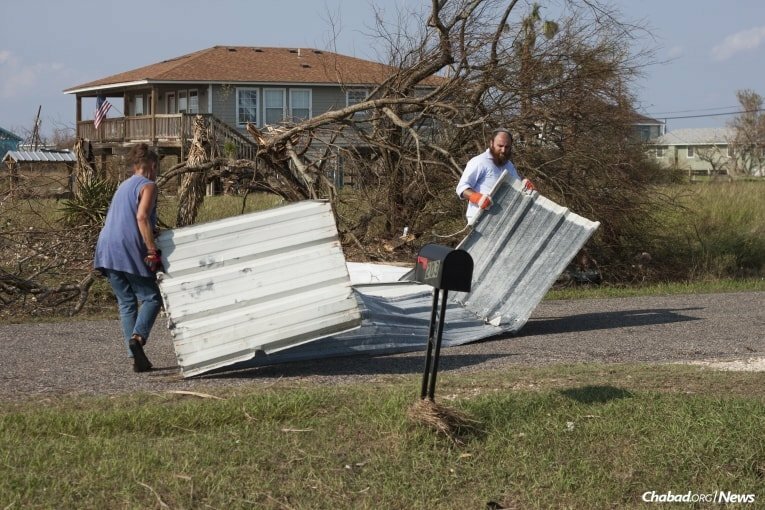 ROCKPORT, Texas—Hurricane Harvey first made landfall in the Corpus Christi area late Friday, slamming the towns of Rockport and Port Aransas. 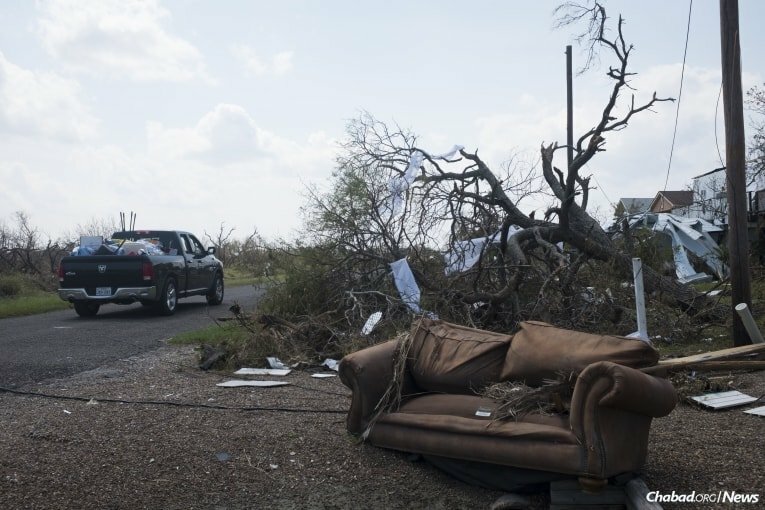 It continued up through the bay area and into Houston, bringing with it a storm surge of devastating proportions. 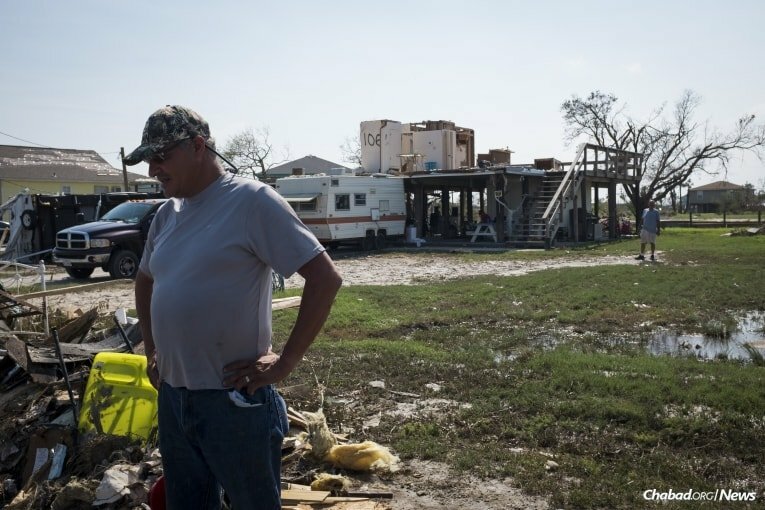 Homes and businesses are underwater. 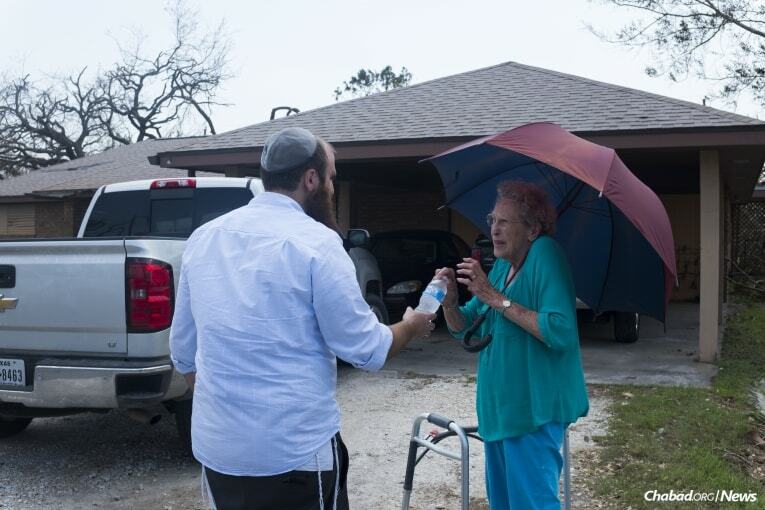 Today, more than 30,000 displaced people are being housed in 230 shelters across the state, and Chabad-Lubavitch of Texas has mobilized to respond to the disaster. 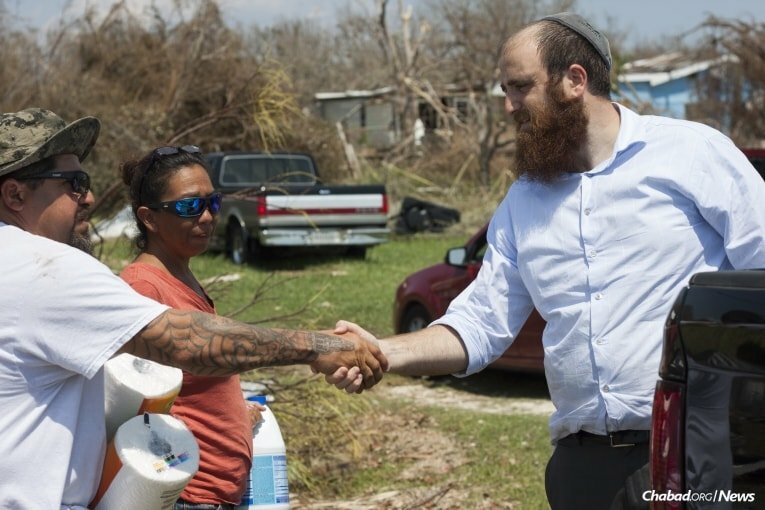 Since the very first moments of the storm, Chabad’s network of emissaries—there are 30 in Houston, the bay area and as far down as Corpus Christi—have been providing rescue, food, housing and support to anyone affected by the widespread flooding and destruction. 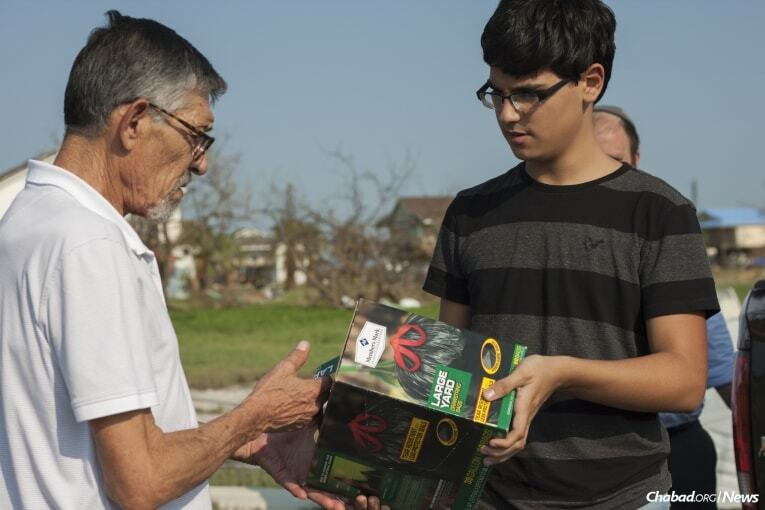 They have been joined by hundreds of volunteers, helping to deliver and coordinate assistance around the clock. 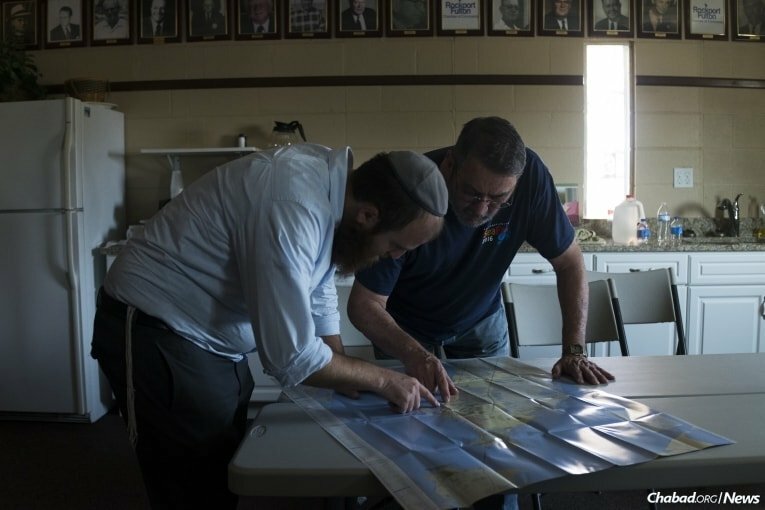 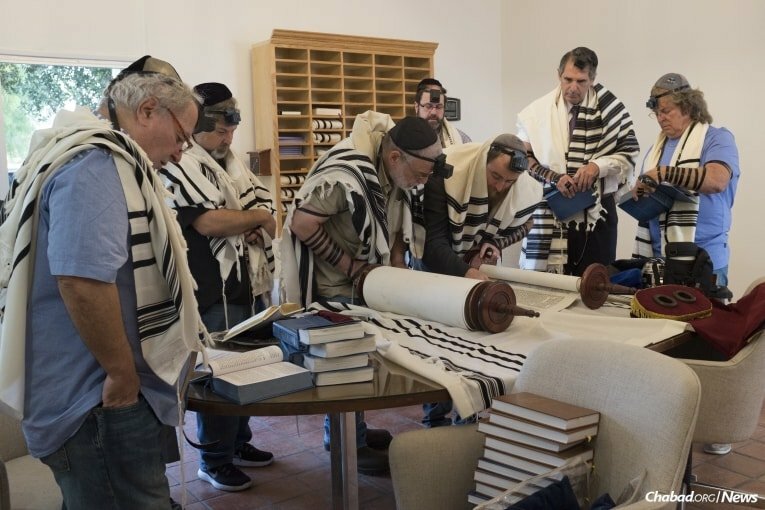 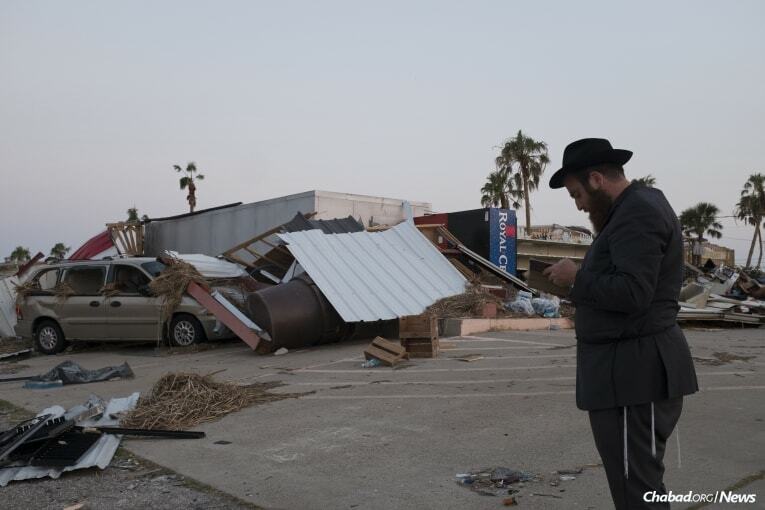 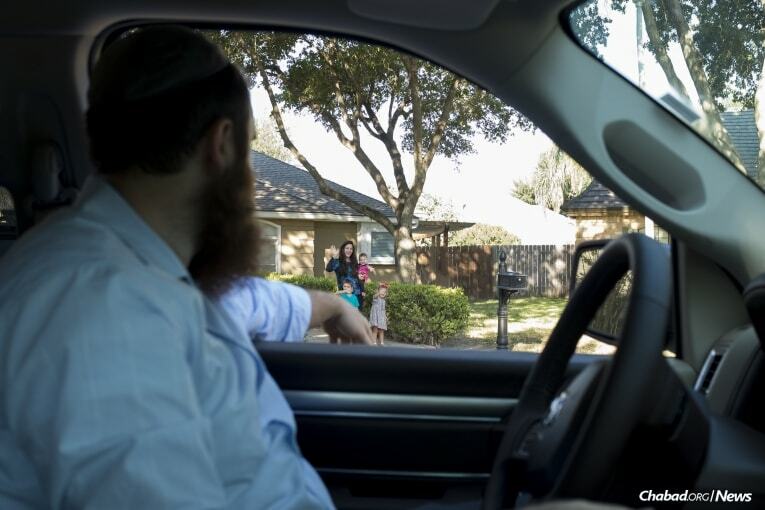 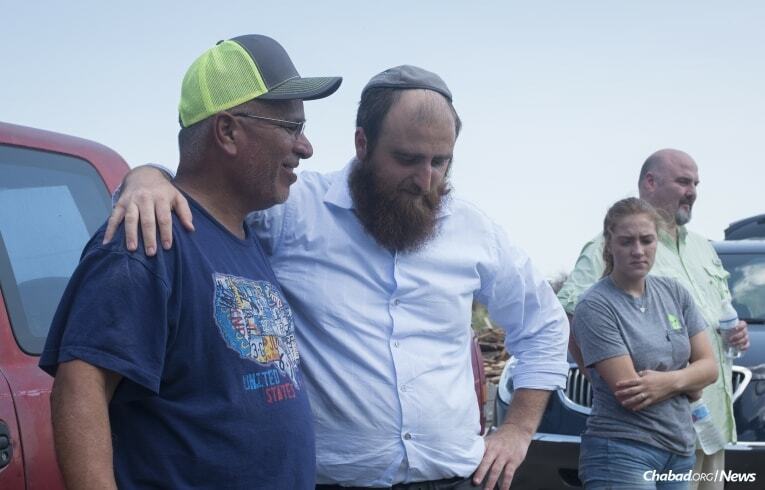 On Aug. 31, Verónica G. Cárdenas, a photojournalist based in the Rio Grande Valley on the southern Texas border, documented the relief efforts of Rabbi Naftoli Schmukler, co-director of Chabad Coastal Bend in Corpus Christi. 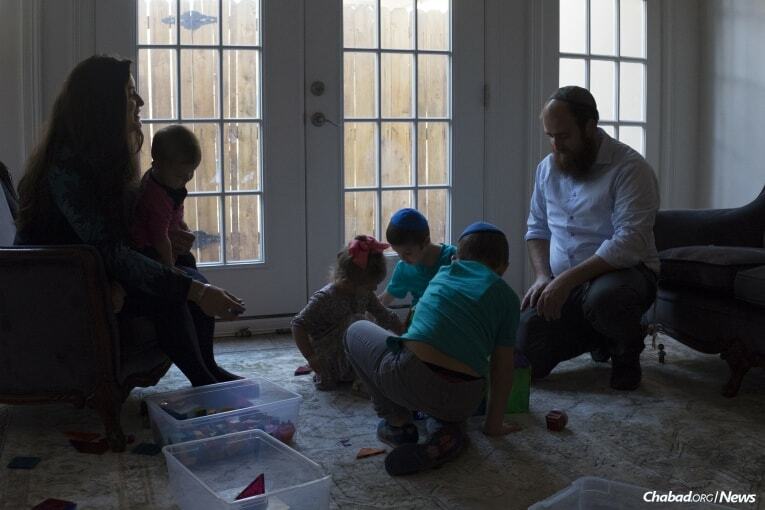 Prior to the storm, forecasters had predicted the worst for the coastal region, so Schmukler evacuated with his wife, Nene, and their four young children 150 miles southwest to McAllen. 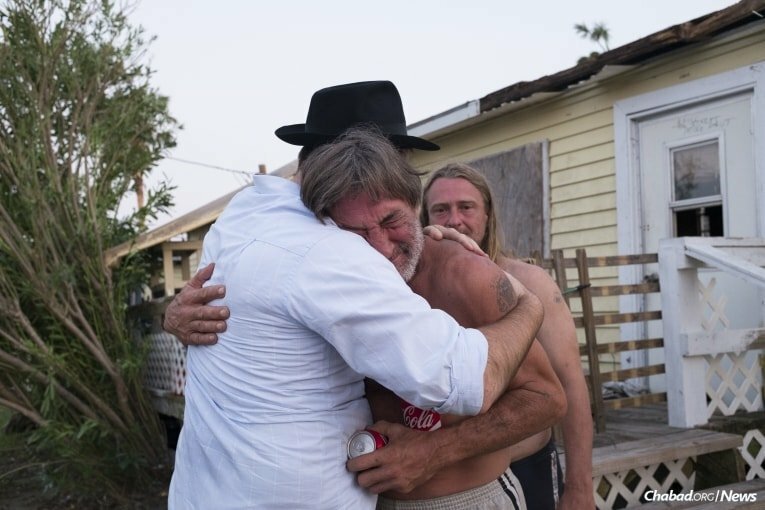 Since then, he has been spending his days and large parts of his evenings delivering supplies and food, working to clean homes and businesses, and providing comfort to those who have lost, in some cases, everything. 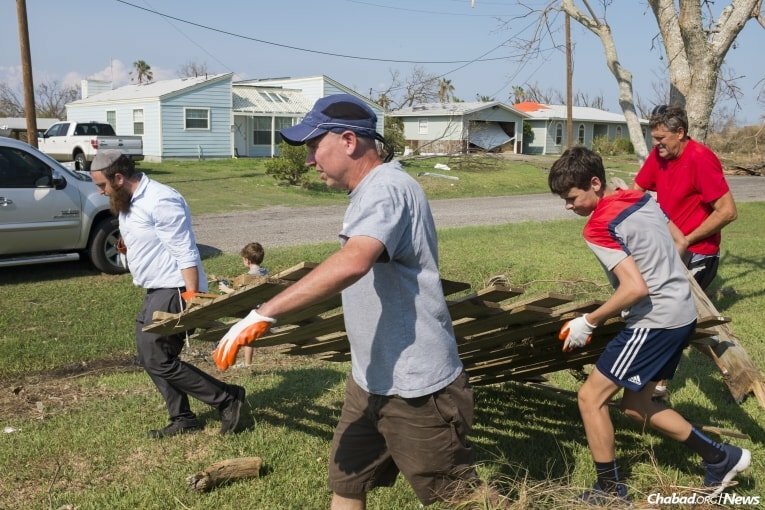 Click here to donate to the hurricane relief fund.